Equifax has taken down a customer help web page amid reports of another attack on the credit reporting giant. The firm said it took down the link for credit report assistance temporarily "out of an abundance of caution". It said its IT and security teams are investigating the incident. Equifax is still reeling from its discovery of a breach that compromised personal data of more than 145.5 million Americans and about 8,000 Canadians. The new attack involved a webpage that asked visitors to download fraudulent Adobe Flash updates, according to Ars Technica. The issue was first publicly identified by an independent security analyst. 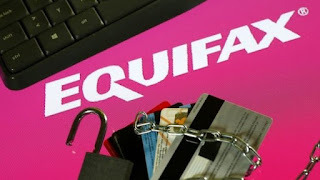 "We are aware of the situation identified on the equifax.com website in the credit report assistance link," spokesman Wyatt Jefferies wrote. "When it becomes available or we have more information to share, we will."